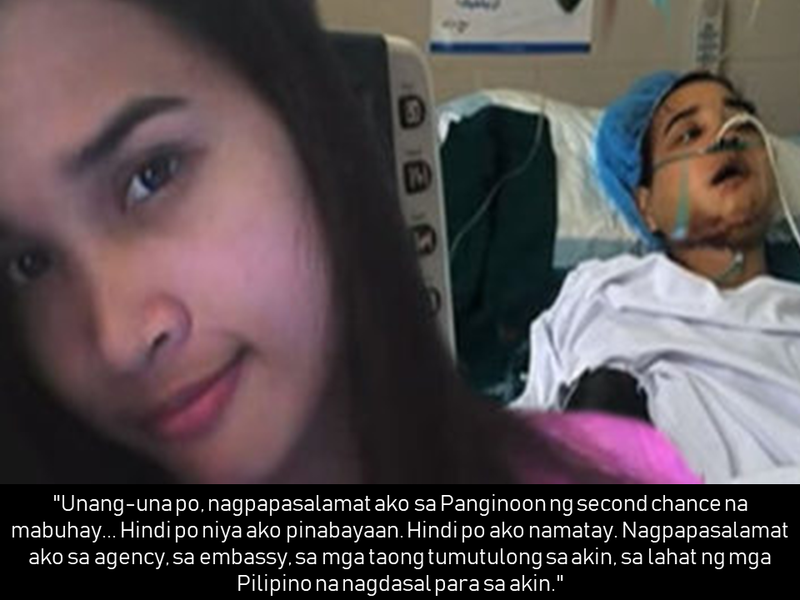 It is not only a few times we hear and read about overseas Filipino workers (OFW) being maltreated and abused by their employers, some of them even return home mentally disoriented and some even did not make it home alive. Importers trade commodities and products but in the Philippines, we export skilled and household workers alike. The latter has a significant number deployed all over the globe with over two million domestic helpers work in the Gulf countries such as Bahrain, Iraq, Iran, Kuwait, Oman, Qatar, Saudi Arabia, and the United Arab Emirates, where cases of abuse are registered. The story of Joanna Demafelis, a household worker who was found inside a freezer in her former employer's abandoned residence in Kuwait, made a significant way to address the rampant issue of HSWs abuse and maltreatment. To avoid further similar incidents, President Rodrigo Duterte through Labor Secretary Silvestre Bello III ordered immediate deployment ban of all OFWs bound to Kuwait. Should his demands to the government of Kuwait for better living condition and protection of the OFWs be met, the ban may be finally lifted. Hundreds of maltreatment happened in several parts of the gulf. It could be referred to as modern-day slavery. Most household workers are not even allowed to take at least a day off in a week. Some of them are also receiving delayed salaries, some none at all. Others are not even adequate food. They are treated as commodities instead being a human as if the employers own them like a piece of tool. Some of them are even sold to other employers. 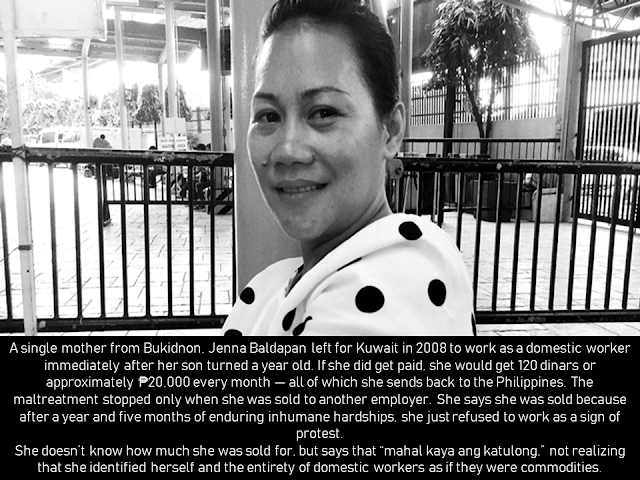 There have been varying degrees of abuses perpetrated on domestic helpers, but these abuses have largely been tied to the Kafala system, a visa-sponsorship system implemented by Lebanon, Bahrain, Iraq, Jordan, Kuwait, Oman, Qatar, Saudi Arabia, and the UAE, where workers are essentially beholden to the demands of their employers. The employer or the sponsor is required to “assume full economic and legal responsibility” and has complete control over when the worker can leave and where the worker goes. It includes keeping the employee's passport, a usual practice in the Gulf countries. they do it to prevent the holder to escape from their custody. 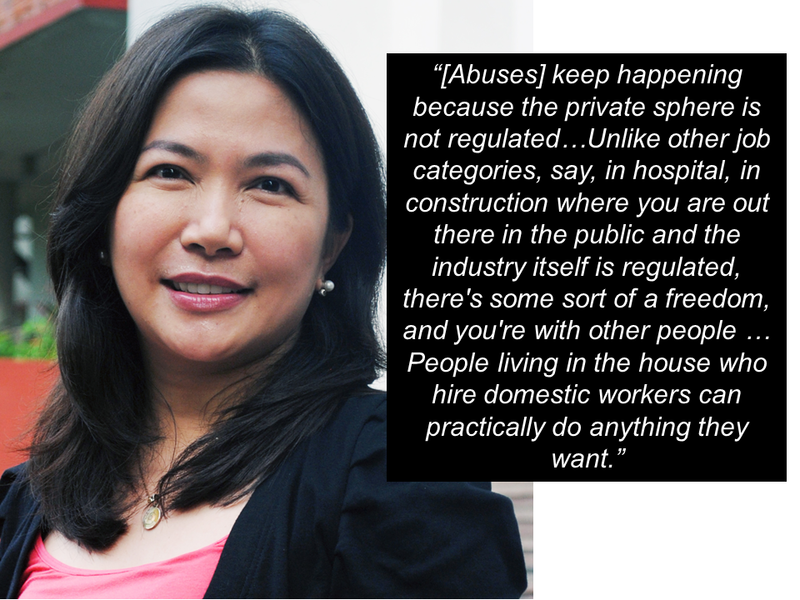 While the Kafala system also applies to other migrant workers such as those working in construction, in hospitals, or in engineering, Dr. Jean Franco, an assistant professor at the University of the Philippines whose research focuses on the politics of gender and labor-out migration, says that the abuses carried by the Kafala are gravely felt by domestic helpers because they are not within the public sphere. With the deployment ban in Kuwait, the Philippine government has somehow given the chance to show that it can do measures to alleviate and stop the maltreatment and the abuses to the HSWs and it could possibly be extended to other parts of the Middle East where many cases of abuse are happening. Just recently, President Duterte has announced that the Kuwait government has already agreed to his terms favoring the OFWs working in their country. Filipino resilience is always evident in every OFW. They can endure everything just for the sake of giving their beloved family the best future possible. They give a lot to the government by keeping the economy kicking by their remittances. In return, the government should always assure their welfare and safety.